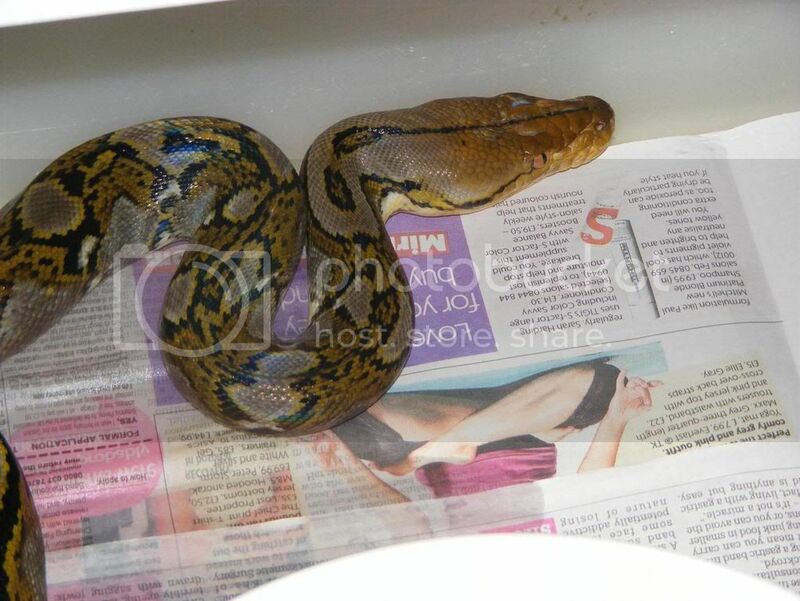 just thought i would wack a couple of pictures up of my monster male tiger retic bred by Dan Fryer about 4 years ago been though a few different hands befor i got it but it wont be going anywere know as i have plans for him soon! 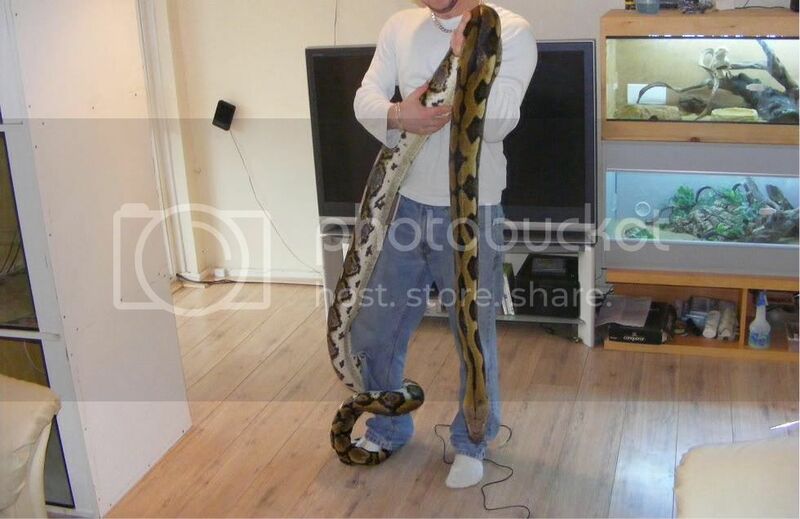 i also have a wc bali retic and i have a cb04 tigerxcalico retic bred by N.E.R.D pictures of the big male know and the bali as the female xcalico retic is in shed..
nice snake hook!! dan fryer!!! did some of his still live!! Lets have a close look at your bearded dragon. He looks cool from a far! trust me grayson come round and messure him if u like messure him to the thing thats on your head about the same size!! 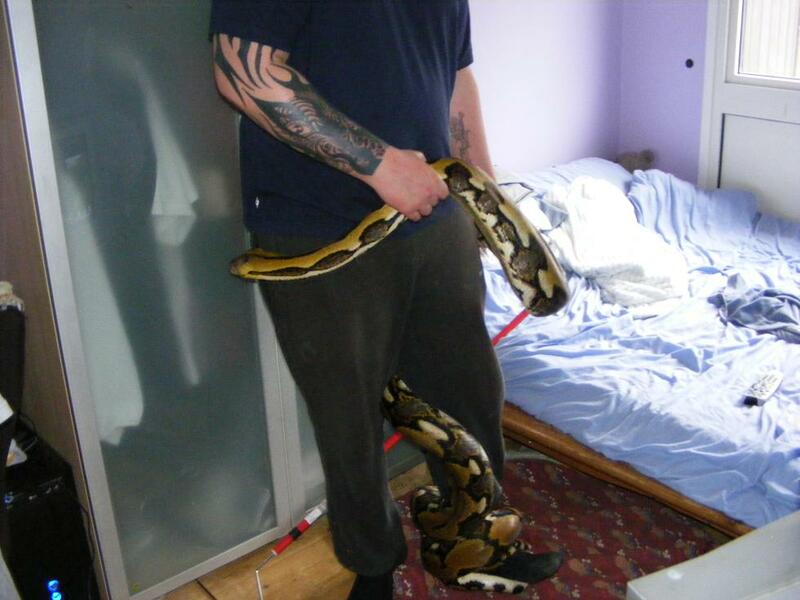 dan is a good bloke aswell only reason u are slagging him off is because he proved you to be a fool that u are anyway get off my thread u troll,, also the snake hook is the nutts i got the idea from bob clark himself..
funny do you own this thread mr retic keeper!! will ask bob tommorow about the hook plans!!! 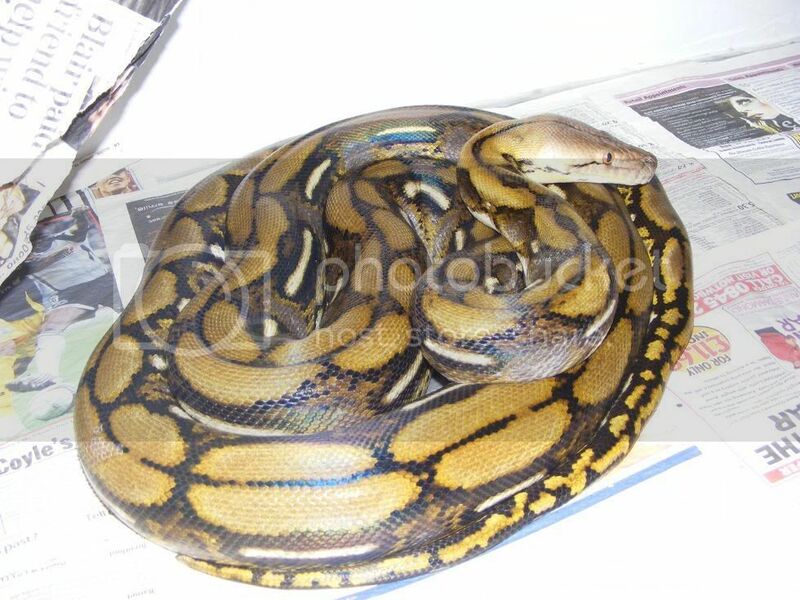 most of dans snakes were wc imports (incl; the so called genetic stripe) they were infested with mites and internal parasites "fact"
awww did they what ones died because i can name places were alot of dans went and im sure they will come on hear to prove to u they are still alive,, also go ahead as bob he will tell u that i have alot of dealings with him,, hang on why dont you come and see him on the 12th march with me we can ask him then!!! grayson why do u get really defencive when people the past anyway?? bit of a touchy subject then?? 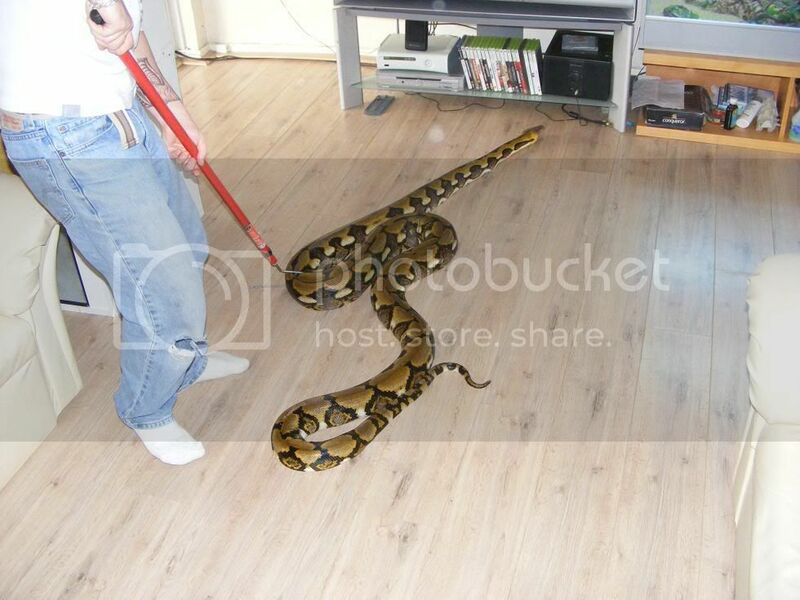 anyway back to the retic in hand when u coming round to messure im?? WE ARE GOING OUT ON THE 10TH TO MEET UP TO COLLECT OUR DEALS BUT WILL BE THERE ON THE 12TH FOR ALL YOU MUPPETS TO MEET ME WITH PAUL, DAN, HANNS, CHRIS AND PEDRI ON OUR TABLE!!! anyway hear is a picture! hope you sort her out with that shed still stuck on her!! is she a tad mad by any chance?? you got her from darren!!! when was this??? its just she looks to dirty in marking to be N.E.R.D tiger!! did we say we were meeting bob on the 10th NO WE DID NOT!! and your aim has always been to get us banned from every site you can think of!! bit slow to catch up there that was yesterday,, good for u that he is meeting u then he was unsure on what day he was going to be hear when i last spoke to him so he said the 12th i didnt no things changed!! you didn't buy her from darren then? but a third party!! can i ask who??? 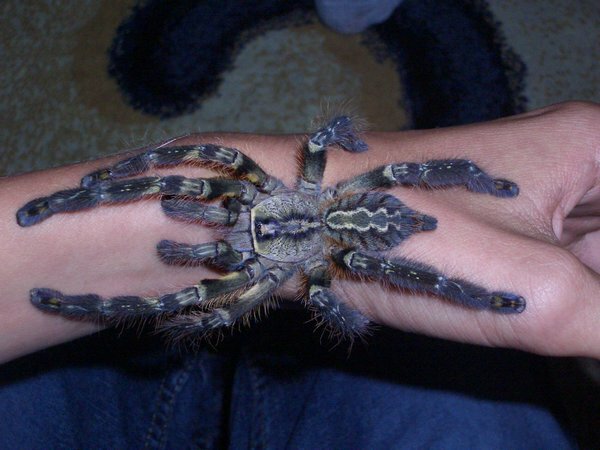 look maybe you have been taken with this animal???? how much did you pay? and also most of nerd retics are well mellow in temperment!! never got tagged by any nerd retics!! 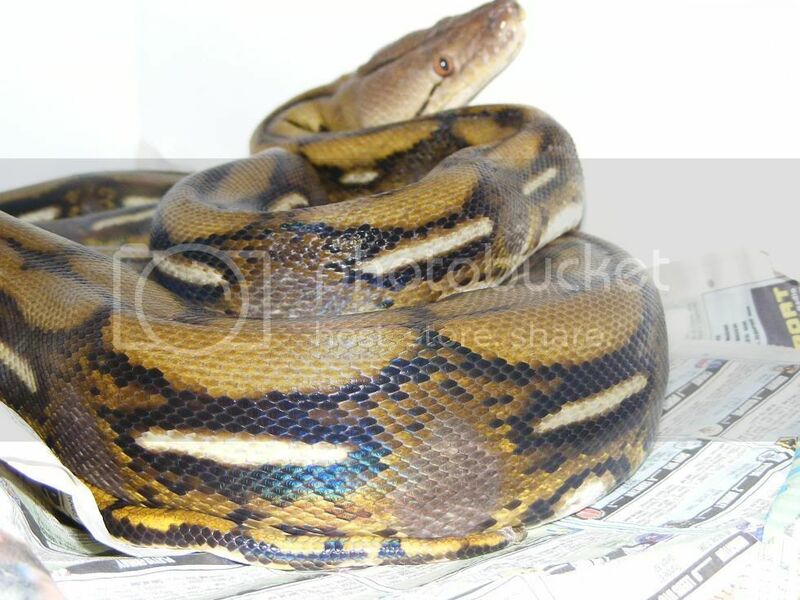 humidity is at 70's and when in shed 80's+ its good u can get a big retic to shed in full even top breeders struggle with that the third party was living rain forest in wales, also i beg to differ on the temprament i no a few other people with nerd retics that have bitten in the past,, yea she is up for sale as i ned something bigger than her put with my male next season,, were did u get the bateater from?? was it your own breed any pictures? you got it from steve!!!! oh dear!!!! you have been done i would think!!! what price do you want for here!!! why you not posting anymore????? YOU TWO WANT A SLAGGING MATCH THEN PIZZ OFF SOMEWHERE ELSE AND HAVE ONE; OTHERWISE KEEP IT NICE!